Ok, so I know the name of this dish is enough to send any first-time cook running in the other direction, but don’t worry- the name is just a cover-up for how simple this dish is! This is actually my mom’s recipe. She made it for my dad first, then she made it for my uncle when they were staying up in the mountains at our house in Boone, NC. It was quite a hit. She convinced me to give it a try, and now it is one of our favorites! Just follow each step to a T, and you’ll be amazed at how good it turns out! 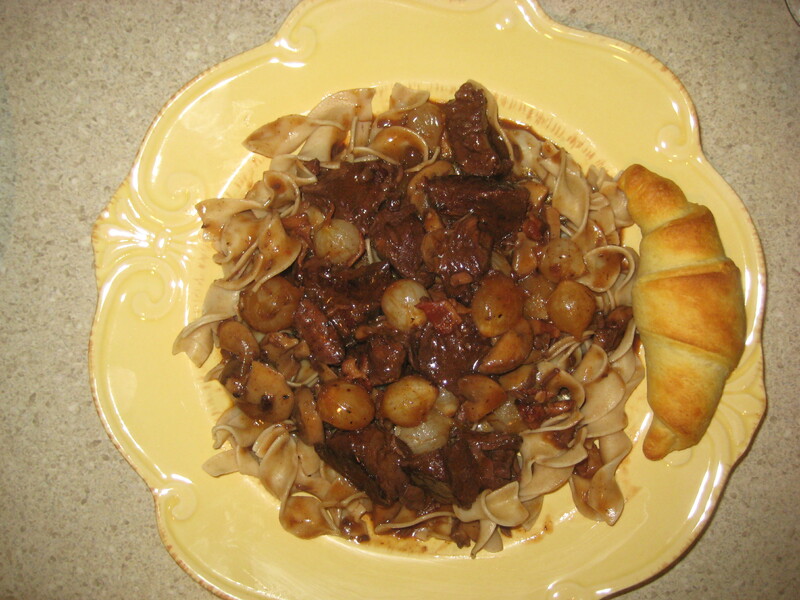 The most fun part about making this was watching my fiance drink glass after glass of the burgundy…lol. He said it felt sophisticated because it “comes in a jug”. I have to warn you, this doesn’t fall under the category of “healthy”…but it’s so worth the splurge! Melt butter over medium high heat in large saucepan with lid. 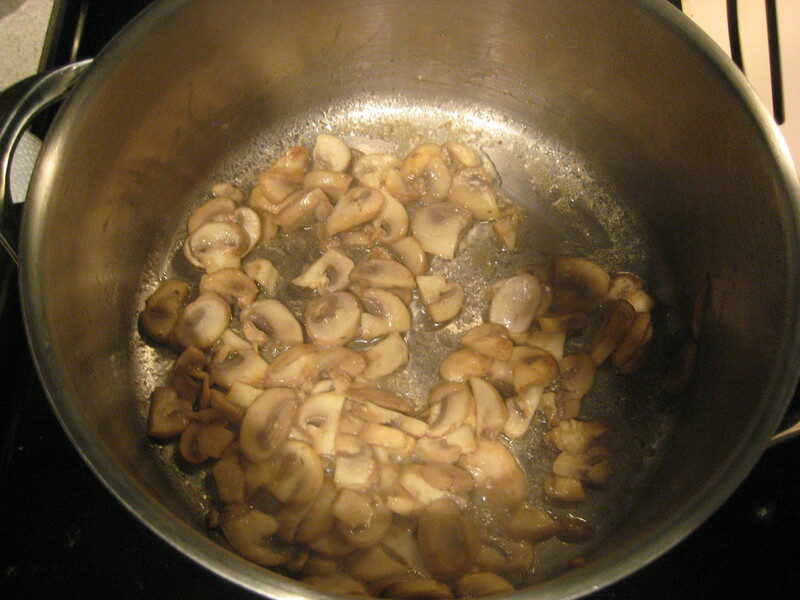 Saute mushrooms 3 minutes. Remove mushrooms; set aside. 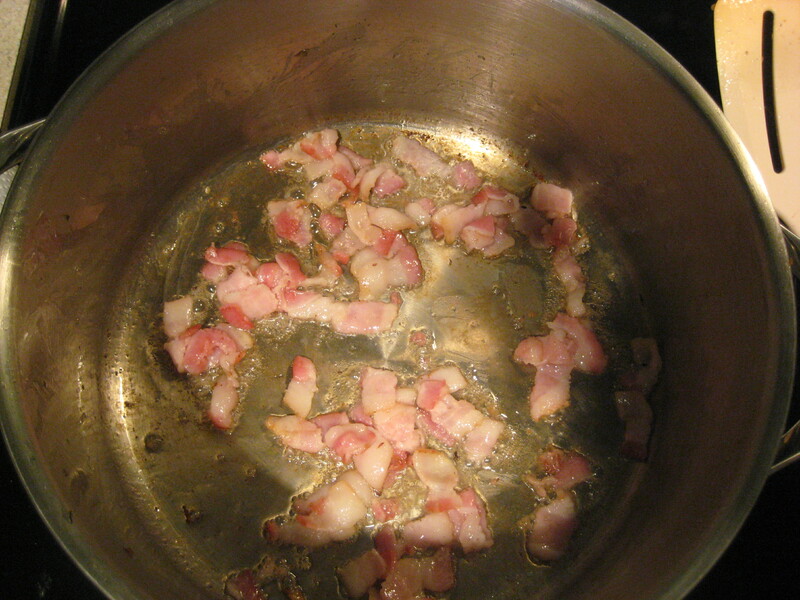 Add bacon to pan, cook, stirring for 3 minutes, until crisp. Remove to paper towels; set aside. 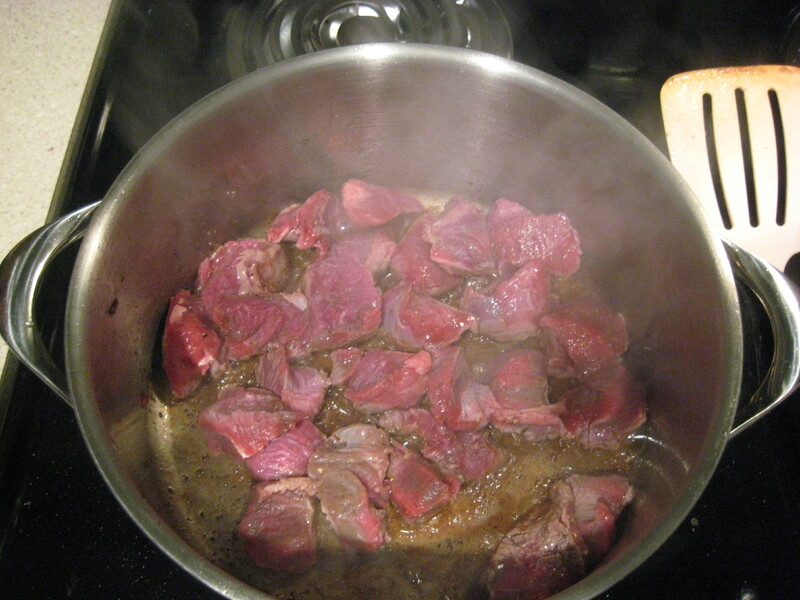 Add meat to drippings in pan, brown well. 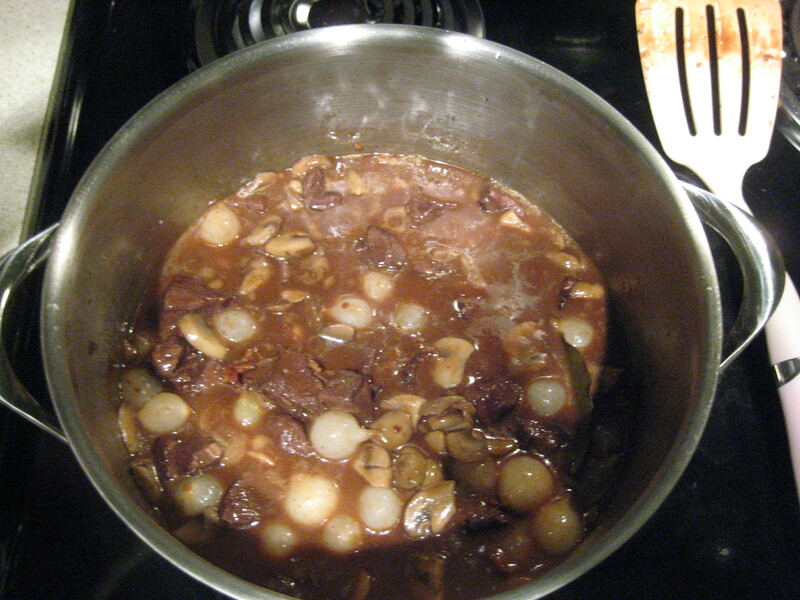 Stir in flour, garlic, tomato paste, wine, water, bouillon cubes, sugar, salt, thyme, bay leaf and pepper. 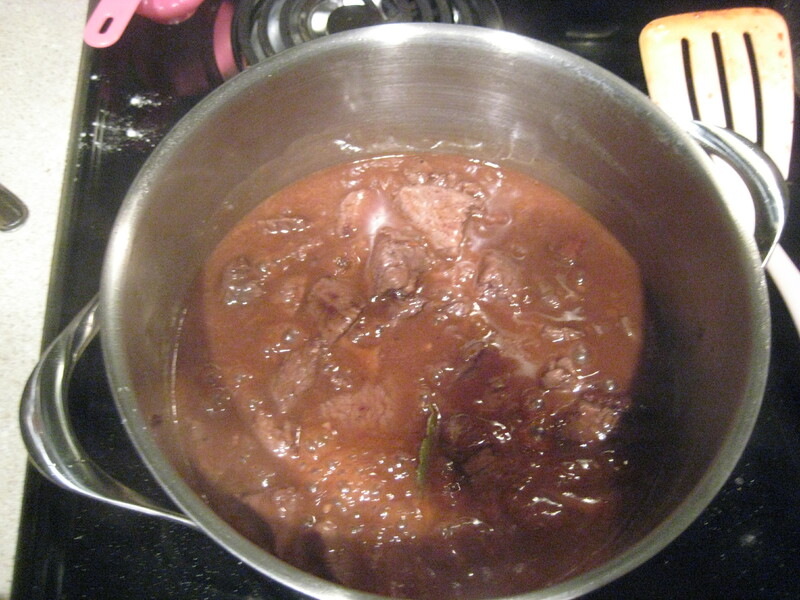 Cover and simmer, stirring occassionally 2 hours (if liquid evaporates too much add more water or wine). Add onions, reserved mushrooms and bacon. Simmer 1 hour longer. Cook egg noodles according to package directions. Serve over the cooked noodles.